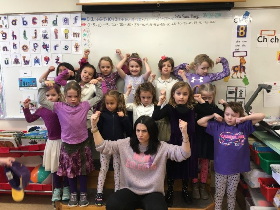 Staff and students showed their solidarity for women around the world by wearing purple and celebrating the accomplishments of women around the world, as well as the equity work that still remains. 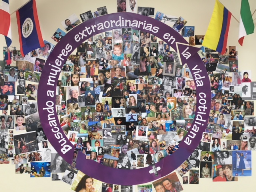 Students brought in pictures of women who are important in their lives--both near and far--and placed them on a mural in the school foyer. Kindergarten completed their 5th Animal Fair! 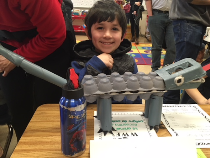 Students showed off their creativity by assembling animals out a huge variety of materials. At the fair, they practiced their language skills by explaining what they learned about their habitats, what they eat as carnivores, herbivores, and omnivores, and which animals are endangered species. It was so great to see so many families our listening session this week. Some of you are very involved in our school, some want to be more involved, and all of you are dedicated to your child’s education. It’s difficult to know where to turn when you want to help. We are a small school so sometimes parents need to search out the right place to GET INVOLVED! And you can always contact your teacher or the front office for more information. The yearbook committee needs photos of ISLA students, teachers, and staff! 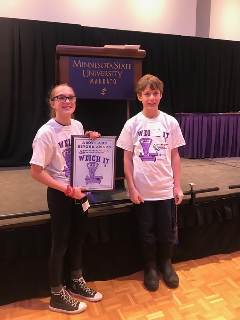 Please upload photos from school events to https://drive.google.com/drive/folders/0B8M4CyhIOQsxajYyZXdhb3B2NGM?usp=sharing. We can only use well lit, in focus photos. For the yearbook photos of kids facing the camera are almost always better (with the occasional exception of an artistic type photo or one showing their ISLA shirts.) If you have trouble email islasyearbook@gmail.com. THANK YOU! Questions? Contact Laura Tellier at ltellier@themarsh.com. Click here for Yearbook ordering information. Restaurant Night at Panera Bread! What are you doing on Wednesday, March 14th for supper? Join the ISLA PTO at the next restaurant night at Knollwood Panera Bread from 4-8 pm. Enjoy an evening of not having to cook and visiting with fellow ISLA families! 20% of every purchase will help support the PTO. We hope to see you there! Bring the attached flyer in, or show on your mobile device. If you would like to place an online order, see the flyer for instructions. Hello everyone! Are you looking for a way to help ISLA and the PTO, but don’t have time to make scheduled meetings, or travel a lot? Well we have the position for you! The PTO board has gone through the process of reviewing and updating the content on the PTO website as it migrated over to a new server. The work that was done so far was very basic, and now we are looking for someone to give it some additional TLC (graphics of events, additional descriptors of PTO activities), and then perform regular maintenance on the site. Updating documentation after meetings (provided by the PTO Secretary). Other activity to ensure the content remains accurate and current such as adding new board members, LAs, etc. We anticipate the initial TLC to take anywhere from 10-20 hours, and the regular maintenance 1-3 hours per month. You don’t need to be. The webpages are maintained using Google forms, and you will just need a little bit of orientation to get started. Does this sound like the role for you? Please contact Sarah Walz (gregsarahwalz@msn.com) and we can discuss further. Thanks to everyone for your continued contribution to ISLA’s mission.